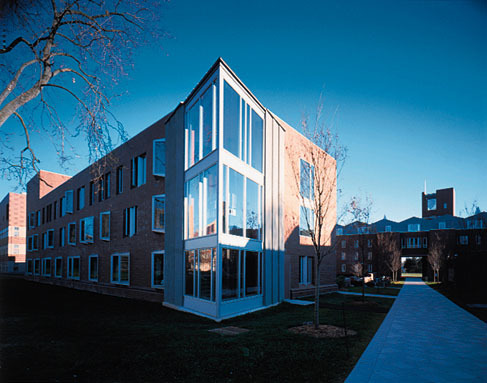 Irwin & Leighton was honored by Princeton University to build its first new dormitory in more than 30 years – Scully Hall. 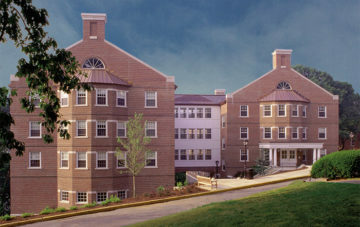 The new ± 90,000 SF, 267-bed dorm signalled the growth of the University’s South Campus. The project was particularly challenging as permit delays required substantial completion of this very complex building in less than nine months time. The University relied on Irwin & Leighton to successfully undertake this challenge. Considerable work was required in this compressed timeframe to coordinate architectural details with the mechanical and electrical design and provide a finished product of very high quality, all while controlling costs. The project earned national and international acclaim. Schedule constrained due to extensive permit delays. 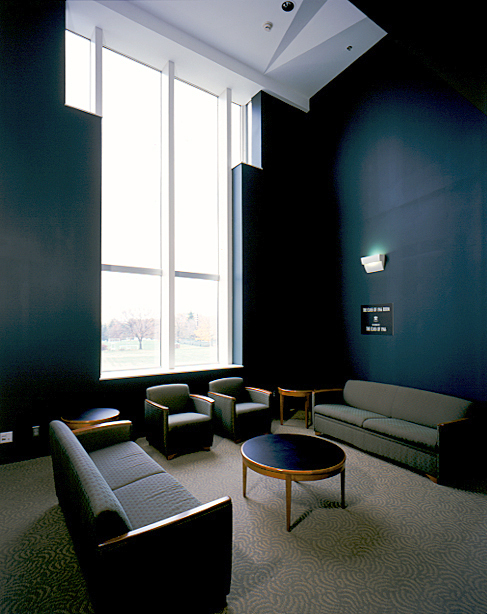 Project completion was met in order to support required facility usage. Intricate elliptical accordion precast front facade required intensive coordination between all team members to facilitate the implementation of all required finish elements prior to manufacture of the precast panels. State of the art “valence” mechanical heating and cooling system above exterior windows required special coordination for mechanical and electrical service systems. 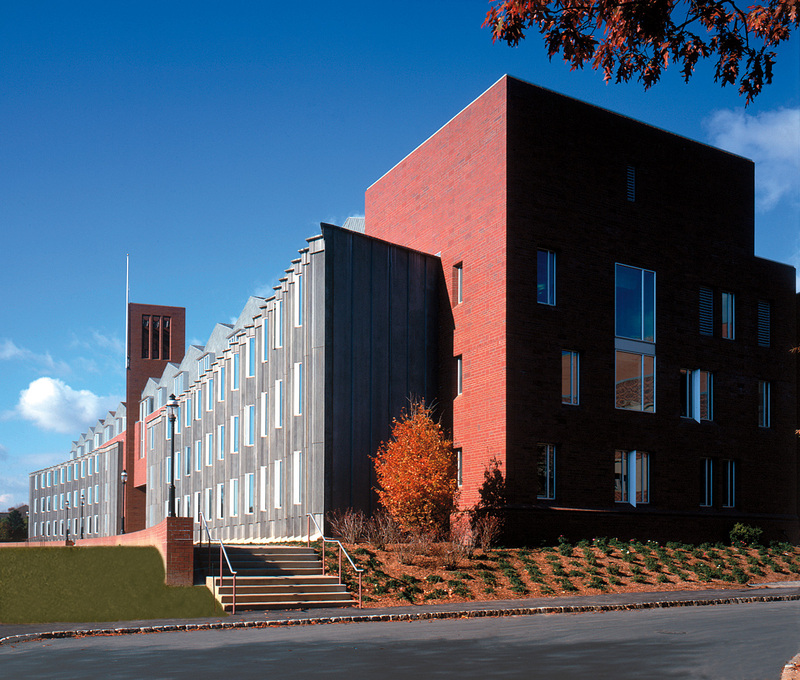 Custom brick sizes and shapes were implemented throughout the building facade requiring extensive “mock-ups” and masonry elevation drawings coordinated for construction installation. 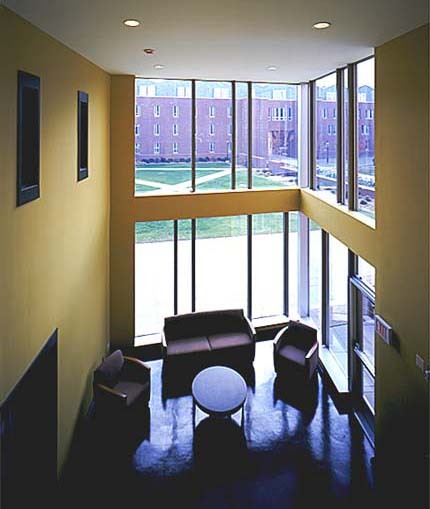 Located central to other campus buildings, the project required a high level of security and safety measures to protect students, faculty and visitors as well as facilitating campus access.